Organize your work with our new board room! 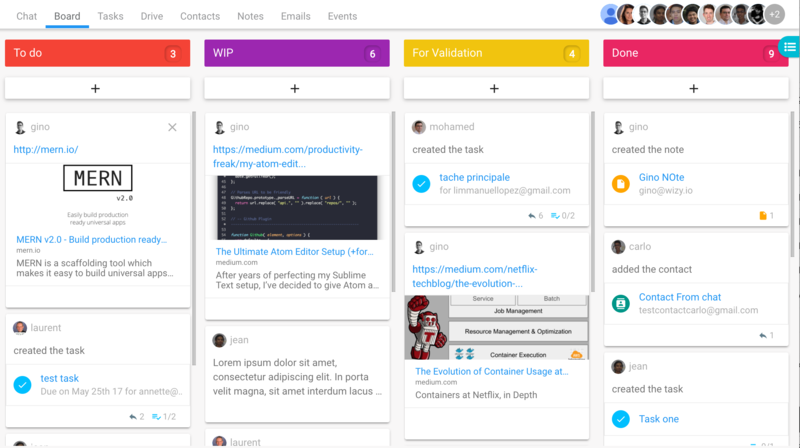 Organize and prioritize your projects in a flexible and rewarding way. Whether you are managing a product roadmap, a project, an onboarding process or even sales leads, the board can help organize and share information with your teammates, customers or suppliers. TRY IT NOW AT NO COST! Don’t you just hate a cluttered inbox? I bet that like so many others, you wish that you spent less time organizing your emails. You want to reduce the amount of internal emails messing up your inbox. What if I told you that I’ve succeeded in doing this? I have decreased my emails by 50 percent. And I couldn’t be more relieved. My inbox is now looking much cleaner. How? 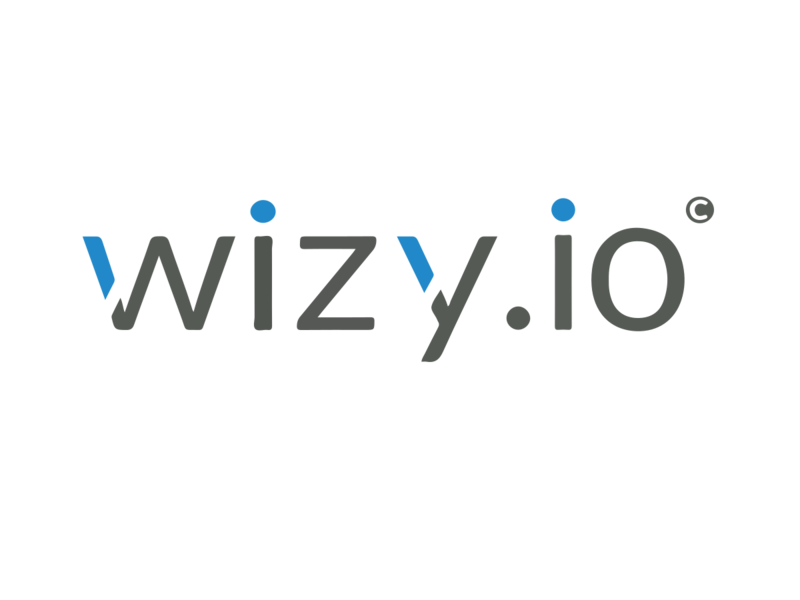 Our team at Wizy.io is now using WizyRoom. It is a group-chat collaboration workplace built on top of G Suite. Microsoft Teams was released in October 2016. We develop products for G Suite, so on the surface it would seem that we have nothing in common with the Microsoft product. As we read the articles describing it, though, we got very excited. We realized that WizyRoom, the application we had released just the month before, was the G Suite version of Microsoft Teams. 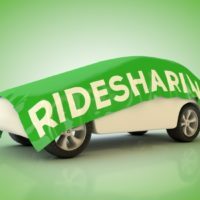 We saw this as a validation of our own idea. Microsoft had seen that there was a missing layer on top of the Microsoft Office Suite. Independently, we had perceived the same lack in G Suite. 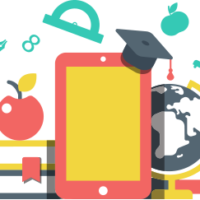 Our realization came out of our own experience working as a global team in Wizy.io. We are a small IT company spread worldwide, across five continents. Spread globally, we develop products that increase the productivity of G Suite users. G Suite is great at offering a collaborative layer, with the ability to work together in Google Docs, Hangouts, shared calendars, and the like. However, as productivity sellers, we were acutely aware of missing features essential to heightened collaboration. We started thinking about a custom platform for internal usage. We wanted to be able to not just to communicate around a specific topic, but also to automatically organize into predefined containers the company’s information flow. To communicate well or get things done, we need to get the right information at the right time. And we need to get that information quickly and in its context. Based on this simple idea — that context overview is necessary to take effective action — we created an efficient tool. WizyRoom is easy to use and has great integration with Google. Context is made more important if we think about the near future. People in their daily work will be getting more automatic assistance from intelligent chatbots. Of course the market is currently led by Slack. And there is also Workplace from Facebook. The Achilles heel of these great tools is that they are independent. They are not integrated to any office suite. Stripped to the basics, they are just powerful communication tools. Microsoft Teams and Wizyroom are in another category. Both were built to be digital workplaces. That means that a team can work almost completely inside them, while using the office applications they normally employ. Microsoft Teams and Wizyroom allow not just communication, but also the organization of company data flow produced by the team. Every organization is concerned about efficiency and productivity. The main questions they ask are, “Where my employees are working, and with which tools?” We believe that keeping them in the office suites is the key. In order to provide the best service to our market of Gapps users, you can bet that we are closely following the output of Microsoft’s brilliant brainstorm.